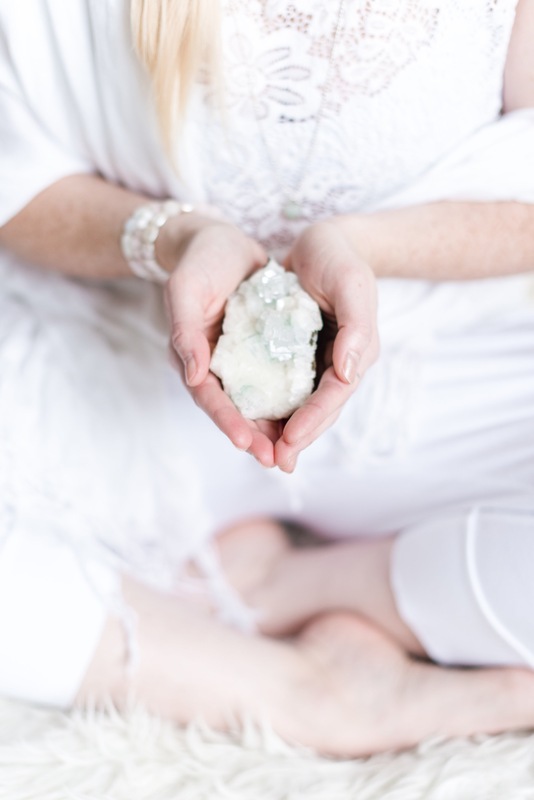 Crystal healing sessions are deeply relaxing, and rejuvenating therapy of placing crystals and stones on the body’s chakras and auric field during savasana. The session is performed on a massage table or padded organic cotton yoga mat, with clothes left on. I work quietly with minimal physical contact. Once all crystals are in place, I will attune your auric field to the sound of my crystal singing bowl collection. The goal of your session may include realignment of your energy frequencies and/or removal of any emotional and energetic blocks, while allowing for deep soul learning, healing and spiritual growth. If your chakras are out of balance the energetic blocks can end up manifesting as physical ailments or emotional issues. Everything is connected. So it is important to cleanse your aura and balance your chakras on a regular basis. Once a season is recommended for regular maintenance. Working with one specific chakra may take up to three sessions to realign it’s energy flow. Please note that my dwelling is not wheelchair accessible. As well as I am highly sensitive to cigarette smoke and it’s scent. Please be respectful to arrive smoke free. Sessions are $88 for 45 – 60 minutes of my time. Payment is made the day of by cash or credit card.